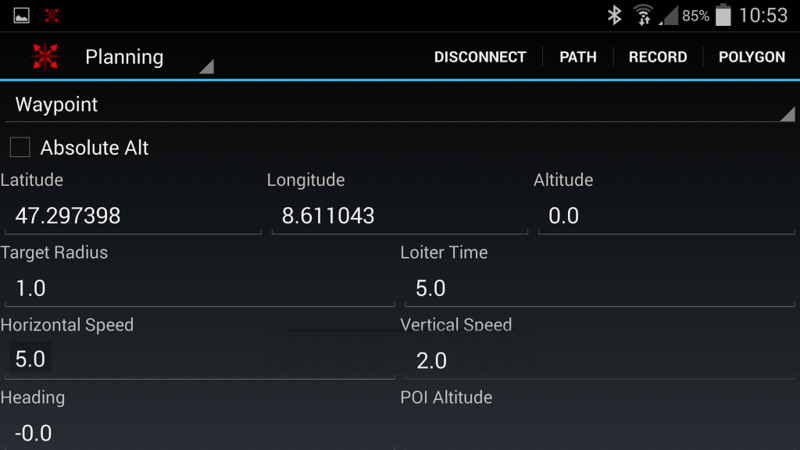 AutoQuad has an Android-based ground station. 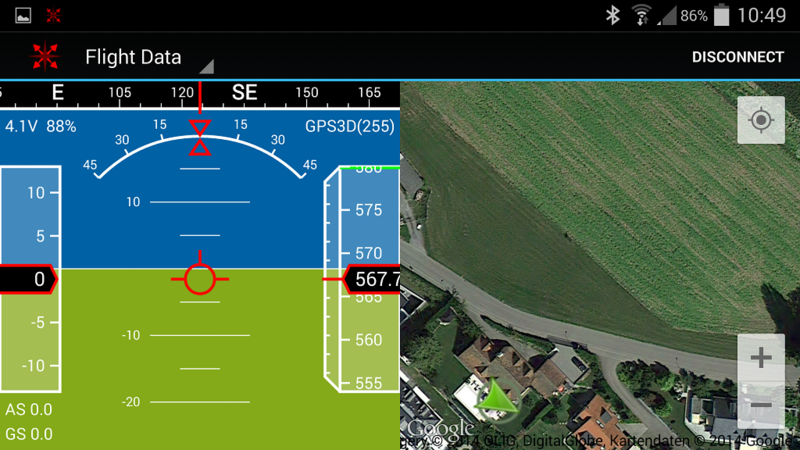 Originally based on the coptercontrol gcs by Bart , it is tailored for AutoQuad with some nice enhancements. You can download the latest version in the AQ site downloads section. 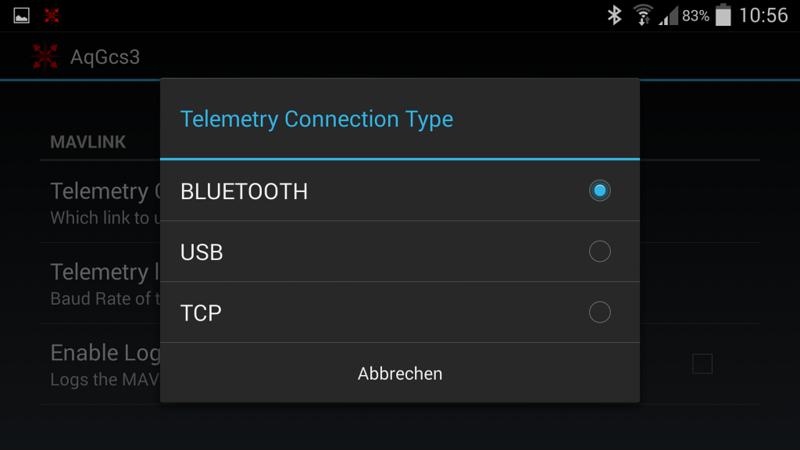 Using Android Bluetooth, USB or TCP. HUD (Head Up Display) with battery voltage, altitude, GPS info. PID settings – display and configure. 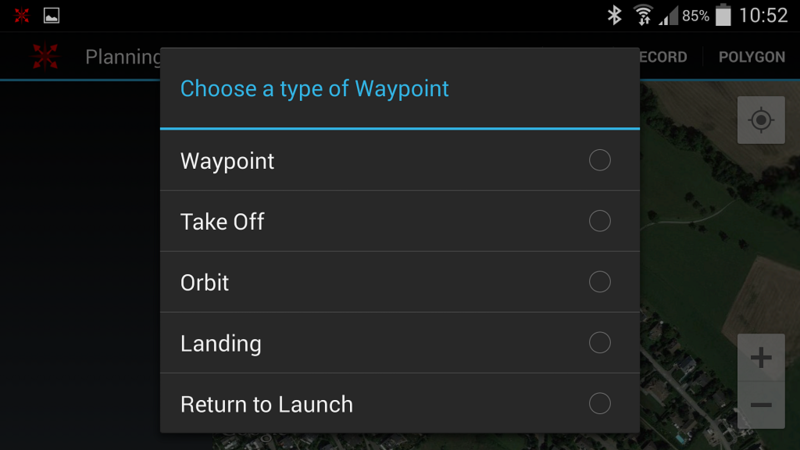 Full screen mission planner with waypoint editor. Text-to-speech — all AutoQuad messages can be spoken! 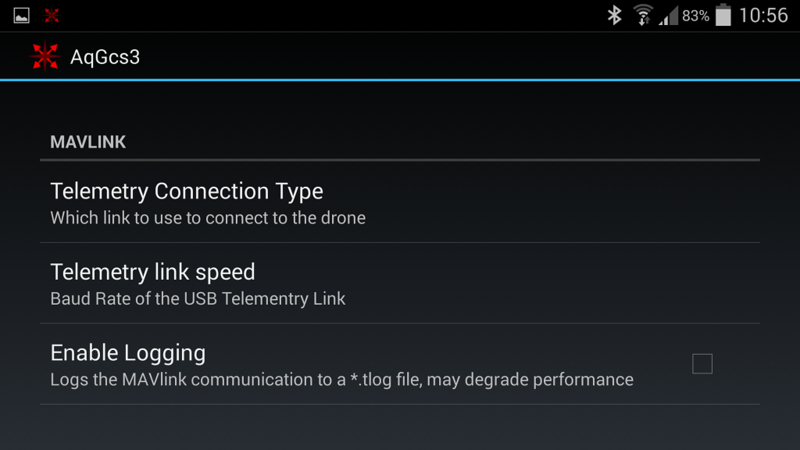 The prerequisites are simple: an Android device with Bluetooth, and an AutoQuad flight controller with Bluetooth adapter connected to the FTDI port. 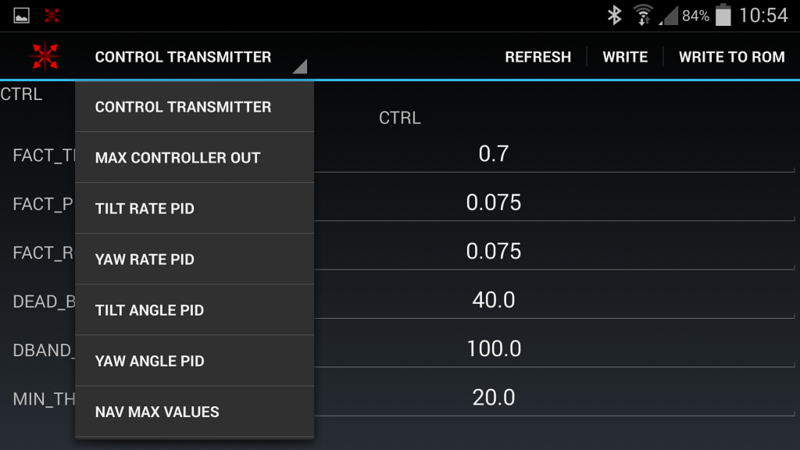 Start the app on your Android device, scan for the Bluetooth adapter attached to the AutoQuad flight controller and connect. If a heartbeat is received, the app will display the connection. This is your main screed in mission. Location of AQ and its path is displayed on the map. 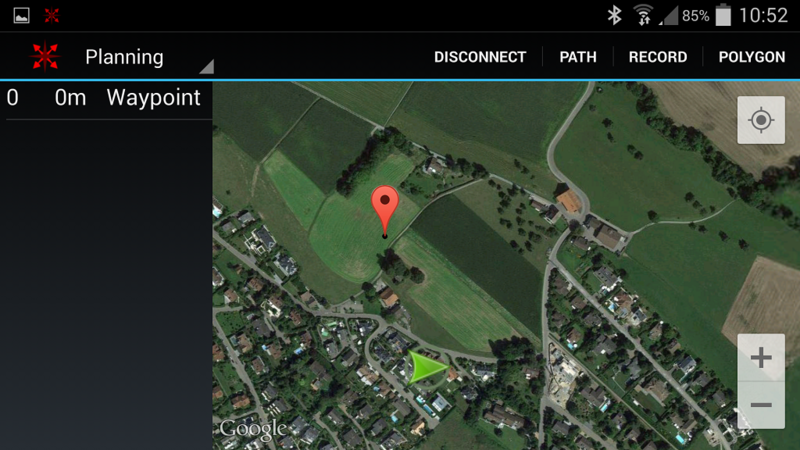 Tap and place a waypoint on the map screen. The new waypoint is added. 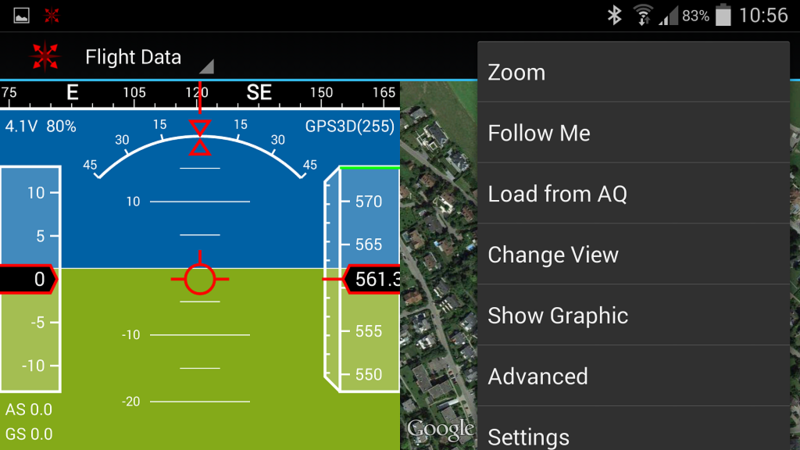 Press the menu button and Save Mission and/or upload the mission to AutoQuad. 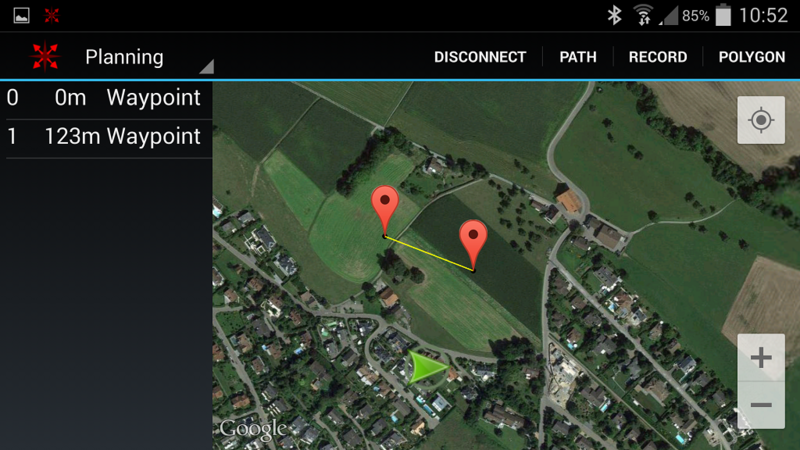 Selecting a waypoint in the list and a short tap will display the editor. Here you can fine-tune the waypoint with required altitude, time to stay and move to the next waypoint and the type of waypoint. Press the return button to save the changes and continue flight planning. Every available PID related value can be tuned here . Please be careful, most values !Do Not! need to be changed. The settings menu allows you to change your preferences. 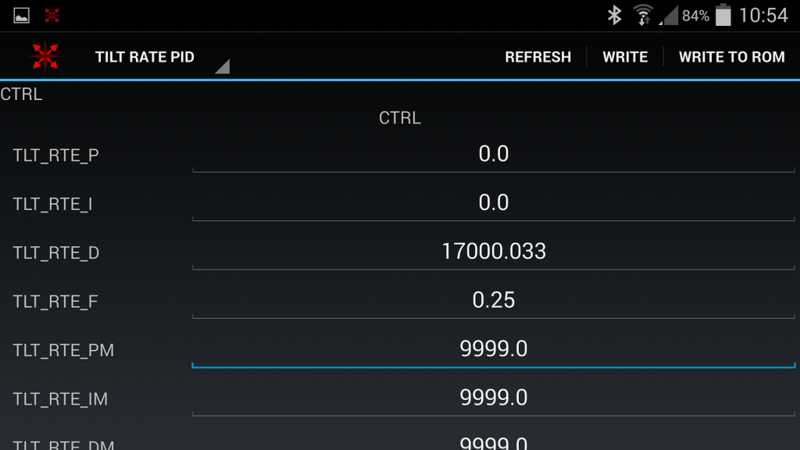 Press the menu button on your device to enter the menu, select settings. This page was created on 17-Jun-12 by menno. Last modified on 6-Oct-15 by kinderkram.